The Gourmet d'Expert® Electric Skillet is a multi-functional electric skillet with two cooking plates; a deep pan for soup-type foods like sukiyaki and fondue, and a flat plate for grilling. The deep pan is 2 1/2" deep and 12" in diameter, and the flat plate features a titanium nonstick ceramic coating for easy cleaning. Variable temperature setting ranges from 176® (Keep Warm) to 480®. 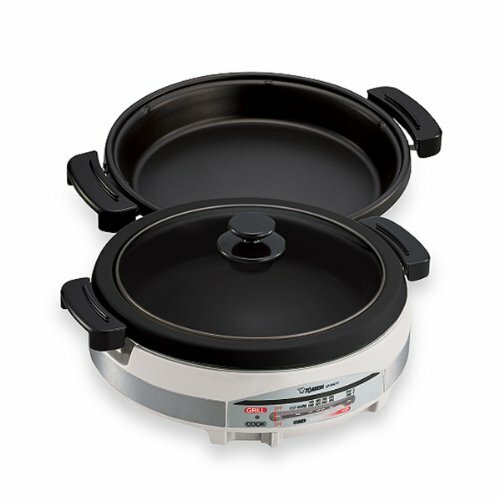 The Gourmet d'Expert[R] Electric Skillet also includes a steaming plate for steaming foods. Additional features include stay cool side handles and tempered glass lid to monitor the cooking process.